This work is a textual based discourse on the Cittavisuddhi-prakarana of Aryadeva, a seminal text which describes the principle and philosophy of Buddhist Tantra. 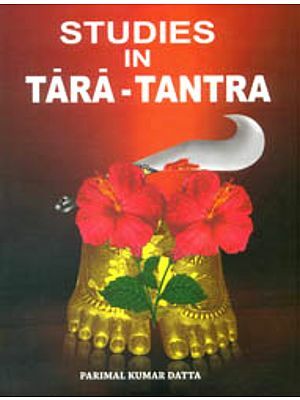 The dispute on the question of Tantric meditative practices having any philosophical foundation or whether those practices have been introduced into the ethico-religious praxis of various religious traditions as a later introduction is a continuing discussion. 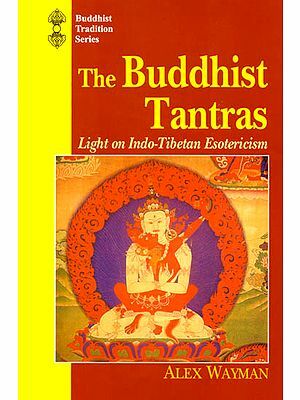 In this work, it is trying to prove that the introduction of Tantra into Madhyamika philosophy is a natural development and it is proved beyond doubt by reviewing an important work in the Buddhist tradition written by Aryadeva, the Cittavisuddhi-prakarana. The unique dialectical method introduced and used by the Madhyamikas to interpret their philosophy and the conception of sunyata is the guiding principle in this regard. Madhyamika envisages that the conception of sunyata can be interpreted as the proper understanding of the insubstantial nature of object of the world (dharma-nairatmya) and the insubstantial nature of the subjective self which perceives such objects of the world (pudgala-nairatmya). The dialectics advanced by the Madhyamika is efficient in deconstructing the substantiality of the phenomenal world of objects, but that is effectively possible only after reconstructing the notion of a substantive self using Tantric spiritual practices. The sunyata as the conception of dharma-nairatmya is achieved through reconstructing the substantive notion of the phenomenal world using dialectics, while it as the conception of pudgala-nairatmya is achieved using Tantric spiritual practices. Mathew Varghese is a scholar of the early Madhyamika philosophy of Nagarjuna and Aryadeva, and shows a keen interest in researching their philosophical method and interpreting it in contemporary perspective. He received his PhD from the University of Madras. He has published a number of articles on Buddhist philosophy and now working on a book about the scope and conception of negative arguments in Philosophy based on pre-Buddhistic and Hellenic thought which would be published soon. He is now teaching at Aoyama Gakuin University, Tokyo, Japan. The work is a textual based discourse on the Cittavisuddhi-prakarana of Aryadeva, a seminal text which describes the principle and philosophy of Buddhist Tantra. The dispute on the question of Tantric meditative practices having any philosophical foundation or whether those practices have been introduced into the ethico-religious praxis of various religious traditions as a later introduction is a continuing discussion. 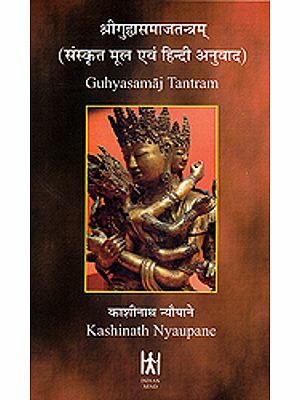 In this work, it is trying to prove that the introduction of Tantra into Madhyamika philosophy is a natural development and it is proved beyond doubt by reviewing an important work in the Buddhist tradition written by Aryadeva, the Cittavisuddhi-prakarana. The unique dialectical method introduced and used by the Madhyamikas to interpret their philosophy and the conception of sunyata is the guiding principle in this regard. Madhyamika envisages that the conception of sunyata can be interpreted as the proper understanding of the insubstantial nature of object of the world (dharma-nairatmya) and the insubstantial nature of the subjective self which perceives such objects of the world (dharma-nairatmya) and the insubstantial nature of the subjective self which perceives such objects of the world (pudgala-nairatmya). The dialectics advanced by the Madhyamika is efficient in deconstructing the substantiality of the phenomenal world of objects, but that is effectively possible only after reconstructing the notion of a substantive self using Tantric spiritual practices. The sunyata as the conception of dharma-nairatmya is achieved through reconstructing the substantive notion of the phenomenal world using dialectics, while it as the conception of pudgala-nairatmya is achieved using Tantric spiritual practices. A Study of This Kind on the text of Cittavisuddhi-prakrana by Aryadeva might confuse many scholars as the historicity of Aryadeva-the Madhyamika and Aryadeva-the Tantric, is an unsettled dispute yet. However, here the attempt is not to settle this dispute on the historicity of these personalities, but to review the principles of Buddhist Tantra from the perspective of early Madhyamika philosophy of Nagarjuna and Aryadeva. Another aspect taken here for serious consideration is a proper understanding of the conception of sunyata, introduced and interpreted by the early Madhyamika and its innate relationship with the Tantric spiritual practices. It is argued that a proper understanding of the conception of sunyata is possible only with the proper conception of pudgala-nairatmya, and that is possible only with a proper appreciation of Tantric systems. The Tantric spiritual practices are the only structure that provides a foundation to human personality. The psycho-experiential method of the Tantric is the only method that can restructure that human mind from all its conceptual formulations; in that respect it is one of the most efficient spiritual techniques evolved. In essence, the discussion is based on remaking of man without losing his fundamental nature and it is possible only by reconstructing the psycho-physical personality. Man confronts challenges always as a part of his life and he should find suitable philosophical and spiritual methods to redress his worries and concerns. There is nothing called an idealistic situation where man lives without any worries. In this work, we see the methods that can be used to make possible the life bearable for man, where he should be ready to remake himself by appeasing his own dispositions (upaya) using his natural wisdom (prajna). The discussions here are following the method of reviewing the discussions of the text based on various aspects of Madhyamika philosophy on the basis of a contemporary understanding of it. In some places, the discussion may be repetitive but it is to understand the same discussion of the text from different perspectives. The primary aim is to supplement ideas to support the concept of the remaking of man without losing his fundamental values. The main purpose of this work is to understand and interpret the philosophical content of the text and put it in perspective with the philosophical position of the early Madhyamikas. An English translation of the Sanskrit original edited from the Tibetan text is given in the appendix. I must admit that the translation is deficient in many respects, though care is taken to find the most appropriate meaning by taking into account the variant reading, etc. the emphasis of discussion is to get a rational understanding of the notion of dharma-nairatmya elucidated in the canonical texts and the explanation given by early Madhyamikas. The explanations relating to pudgala-nairatmya is basically from the Cittavisuddhi-prakarana, together with the Tantric spiritual practices. I wish to take the opportunity to acknowledge the help and support I had received during the research and preparation of the manuscript, without which I would not be in a position to complete this work. In the course of my research by the way of identifying the text, translating it, reading, and correcting the manuscript, this work is immensely indebted to Prof. Godabarisha Mishra of the Department of Philosophy, Madras University. I also wish to express my gratitude to the Department of Philosophy, Madras University where I completed my PhD: the head of the Department Prof. R. Gopalakrishnan, Prof. S. Paneerselvam, and the staff and fellow scholars for having given me valuable support and assistance. I am also thankful to the staff members and authorities of the Adyar Library and Research Centre for extending necessary help to find the published original manuscript and the edited version of the text Cittavisuddhi-prakarana, and also for finding me many other books. I express my sincere gratitude to Prof. M. Narasimhachary, who went through the text and gave valuable suggestions. I am extremely grateful to Dr. K. Sasidhar for his friendship together with supports such as, patiently reading through the manuscript, discussion; to Prof. N.S. Sadagopan, for correcting the translation of the text; to Dr R. Narasimhan, Lecturer in Sanskrit, University of madras, for helping me prepare the first translation of the text; to Mr. R. Mukundan for typing the Sanskrit manuscript. I wish to acknowledge and extend special thanks to Mr. Noriyasu Kaitoku for his generous financial support and special interest shown to this work. My grateful thanks is due to Prof. Frank J. Hoffman, West Chester University, USA, for the financial support in offering the "Hoffman Shield" and the interest he has shown in the progress of this work. I am extremely thankful to my wife Dr Yuko Fukuroi, for actively involving with this work and for extending unstinting encouragement and support all throughout the research. To my parents, Mrs Thrisiamma and Mr. Varghese Mittathani for allowing me to live the way I preferred, teaching me to appreciate human values and companionship, and inculcating the basics of free thinking, I am deeply indebted. I wish to extend a word of thanks to Prof. Koichi Furusaka of Osaka, Prof. Kazushige Sagawa, Mrs Sachiko, and Mr. Mizugu Fukuroi of Tokyo for all the help and support they have given me. My extreme gratitude to Prof. Sengaku Mayeda, Prof. Emeritus, University of Tokyo, and Executive Director of Eastern Institute, Tokyo, for all his encouragement and support to me and also for writing an appropriate Foreword. I am grateful to Ashok Jain and the late Devendra Jain of Munshiram Manoharlal Publishers, for showing interest in this work and publishing it. This book is based on a textual study of a Buddhist treatise entitled Cittavisuddhi-prakarana of Aryadeva probably in the third century AD. It is not a direct commentary on the text but it tries to find the philosophical foundations of the discussion of the text based on the position of the early Madhyamika philosophy of Nagarjuna and his disciple Aryadeva. 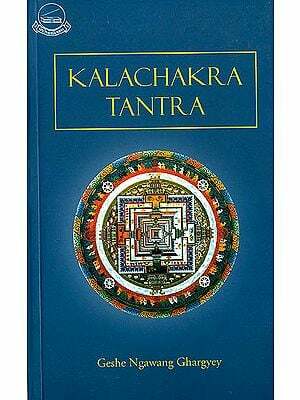 In this book, Dr Varghese gives an excellent insight into the principle of Buddhist Tantra on the basis of Madhyamika philosophy. I find that the arguments given here are worth noticing as it tries to discern the conception of sunyata from the perspective of Madhyamika philosophy and connect it with the conception of Tantric meditative practices. Aryadeva's Cittavisuddhi-prakarana is very specific in saying that the conception of sunyata is complete only with a proper understanding of the inessentialness of the phenomenal world and possible only by the deconstruction of the notion of a self that eternally exists as the basis of human experience. This deconstruction is effectively possible only through Tantric from of meditation. It is both, an honour and a pleasure for me to introduce this revised version of Dr Varghese's Doctoral dissertation to the world of specialists in Buddhism, especially the Madhyamika philosophy, and to the larger world of students of philosophy.